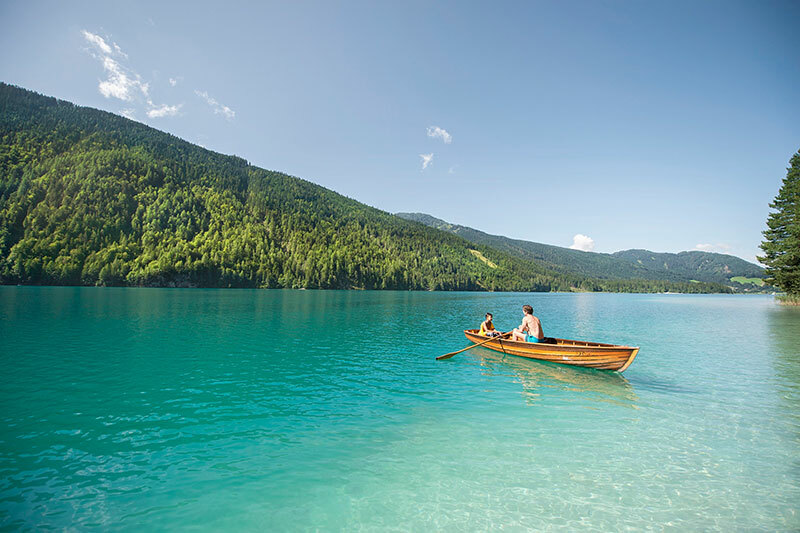 What landlocked Austria lacks in oceanic coastline, it makes up in in great measure with its abundance of outstanding lakes. We have picked out 10 lakeside highlights from the vast choice of beautiful lakes. With the mountains and lakes, castles and villages, historic towns and idyllic villages, Austria is bar none when it comes to variety of holiday features. 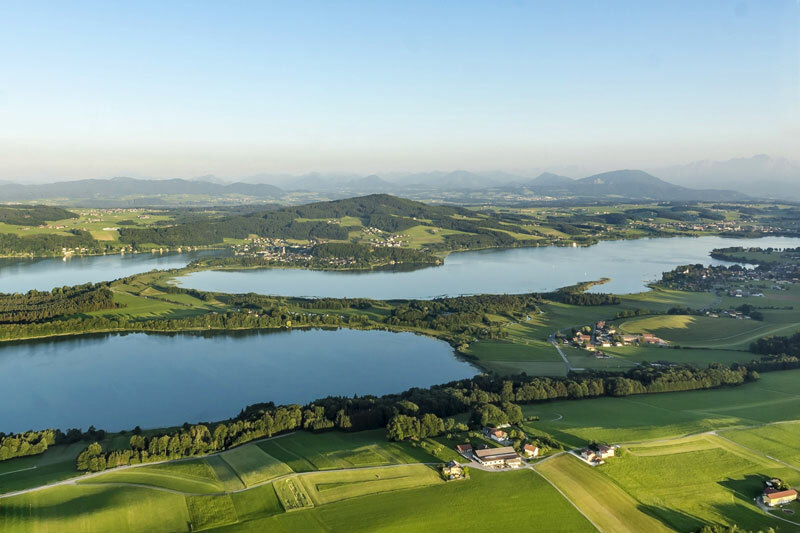 While the mountains are the main attraction in Austria, summer or winter, we would like to put the spotlight on the country’s wonderful lakes. 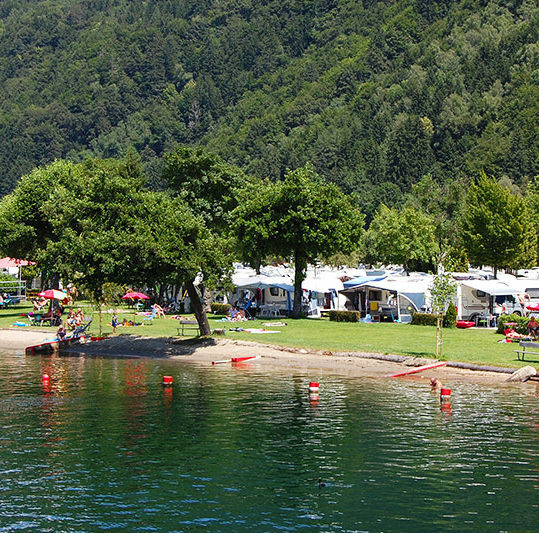 Swimming, bathing, boat trips, water sports or simply a hike on the shores are some off the many lakeside highlights. You can have it all. 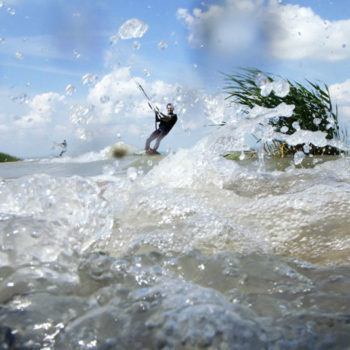 Moreover, not to have to worry about huge waves and dangerous currents, is a big bonus. The list of lovely lakes in Austria could at least 4-5 times longer. However, we’ve tried to find ten different lakes spread over the country. All with their own unique characteristics and in a random order. 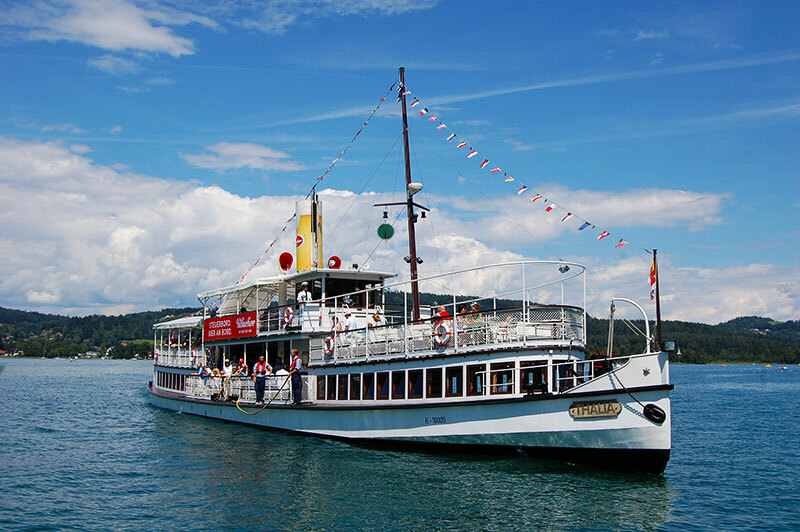 Bregenz occupies most of the Austrian shoreline on the Bodensee. The lakeside towns main feature is the promenade, between the port and the Festival area. 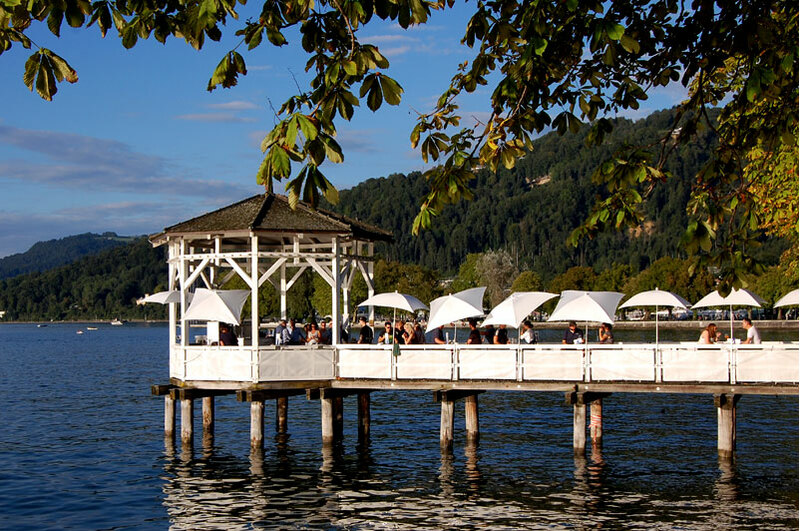 It’s a great place to bask in the sun, romantic evening strolls or just sit down at a café and contemplate about life. 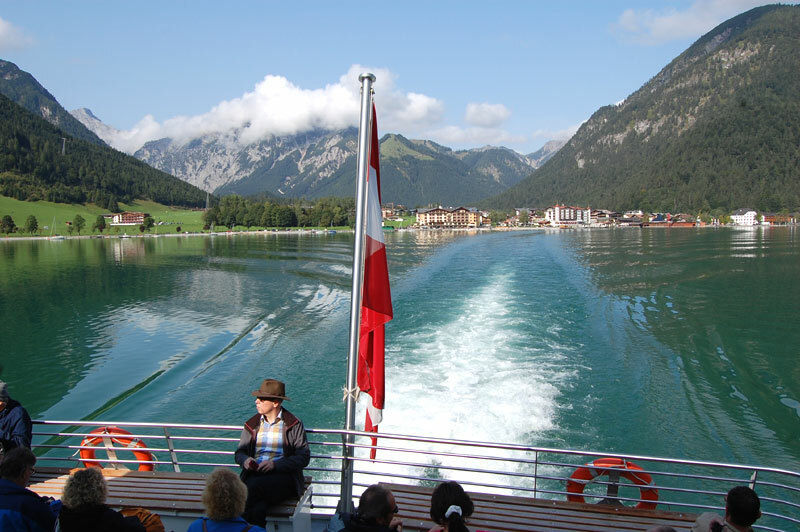 Nostalgic steam train trips, cruising the lake or hiking in alpine nature. 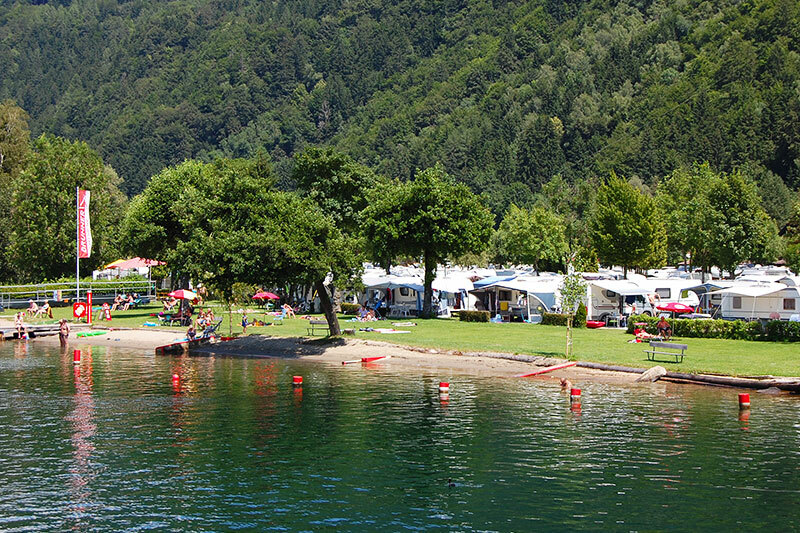 A gem among the lakeside highlights is Achensee (Lake Achen) in Tyrol – much more than a picture perfect alpine paradise. With its turquoise blue water and steep cliffs, the northwestern shore almost reminds us of an greek island. 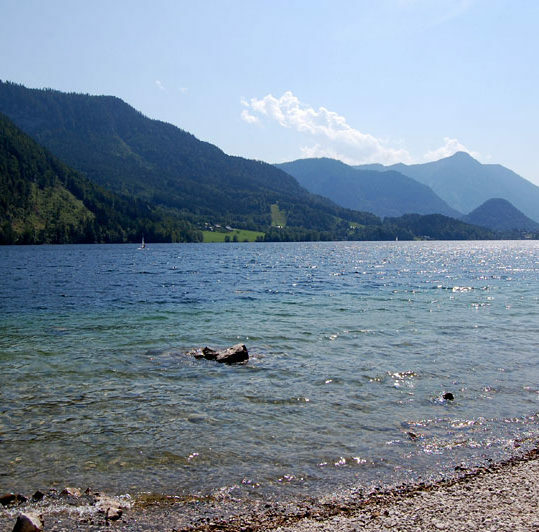 The almost 17 kilometer long lake in Carinthia is one of Austria’s warmest lakes and often reaches 25 °C. 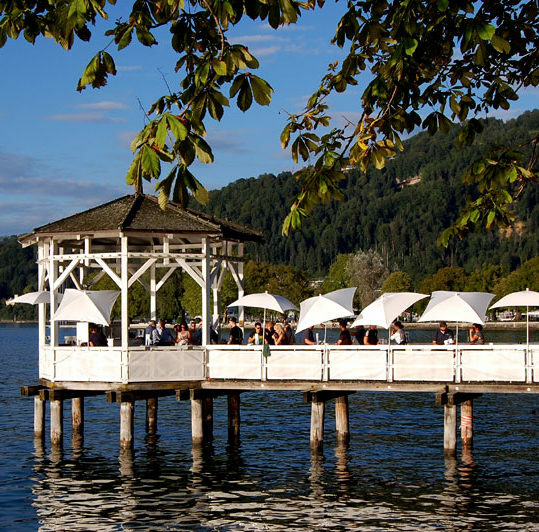 Wörthersee is Austria’s answer to the French Riviera. You find a posh casino in Velden, and it’s a popular playground for the rich and famous in Austria. Nonetheless, there are plenty of place for people with a normal income as well, who want to enjoy a lakeside vacation. 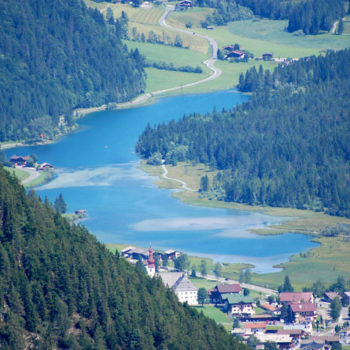 Weissensee is beautifully situated in a valley in southeastern Carinthia. 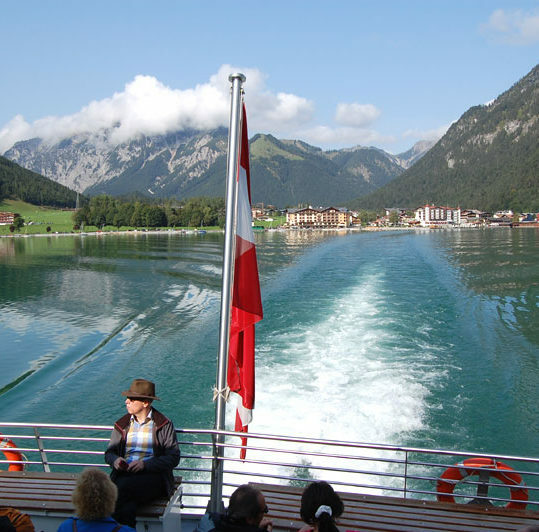 The alpine lake is one of Austria’s cleanest with drinking water quality. There are awesome hiking and biking trails all around the lake. Enjoy bathing, fishing our cruise on the lake in summer. Winter time the lake usually freezes over and becomes a huge ice-skating rink. The Millstätter See (Lake Millstatt) in Carinthia, southern Austria is a summer paradise. Watersports, biking, hiking or simply relaxing seaside, you can have it all. We recommend: taking your kids out on the lake and accompany a professional fisher taking up fishingnets or go for a guided rowing boat trip. 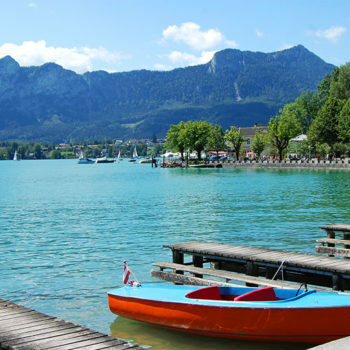 The Mondsee in Upper Austria, is easily accessable from the main motorway between Vienna and Salzburg, A2. On the waterfront you can rent electric- or sailboats. Not a sailor! 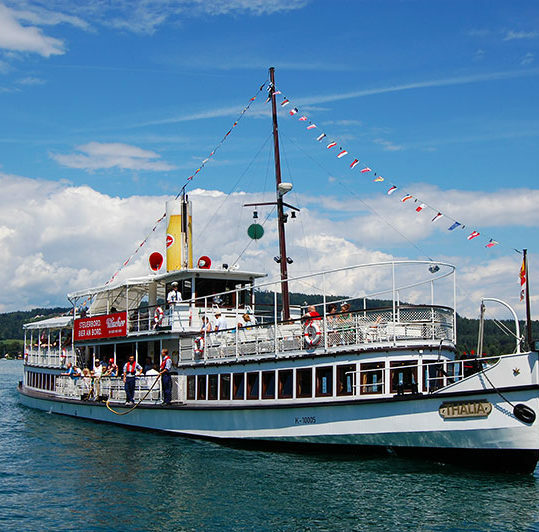 Hour-long guided boat tours around Mondsee run all day from the same place. The village by the same name at the northern lakeshore is really nice and is home to a large Abbey. 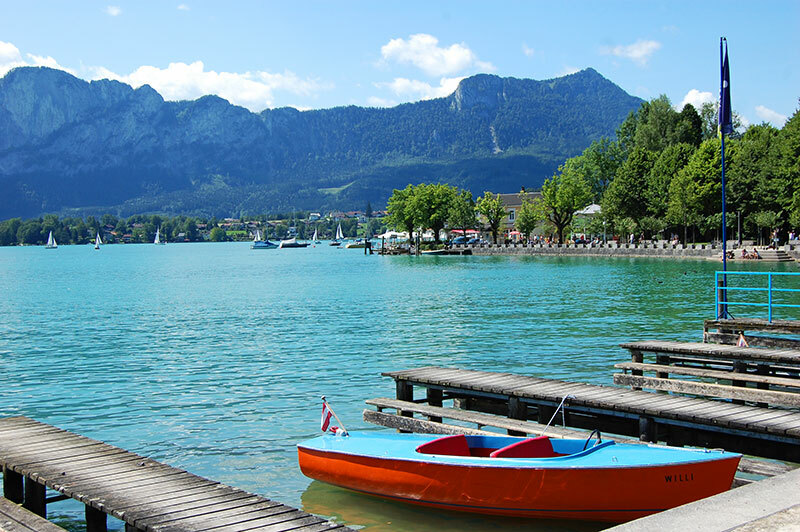 For more info, check the website from Mondsee Tourism. Austria’s largest lake, the Neusiedler See is located 40 minutes by car from Vienna in the state of Burgenland. The southern end of the lake, roughly 20%, belongs to Hungary. Europe’s second-largest steppe lake is surrounded by the flattest landscape in Austria. 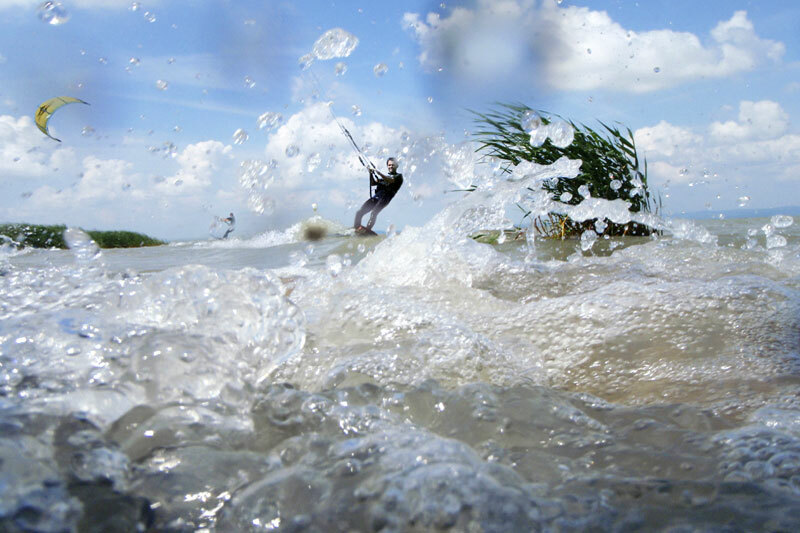 Windsurfing are among the most popular watersports on the maximum 1,8 meter deep lake. For more info, check the website from Neusiedler See Tourism. Not far from the Mozart City Salzburg there is a lovely lakedistrict. 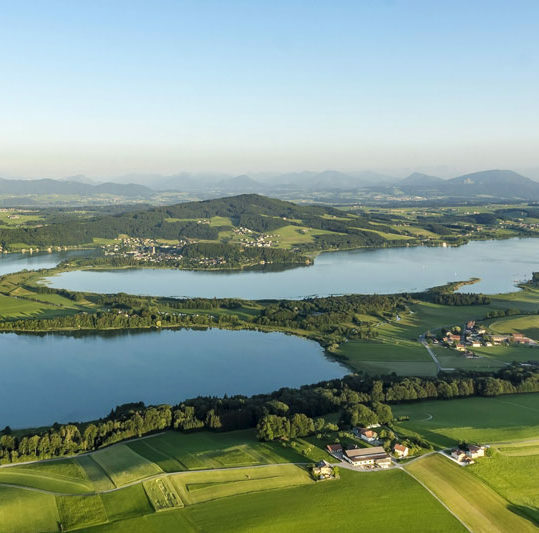 Four pretty lakes, the Wallersee, the Mattsee, the Grabensee and the Obertrumersee, are embedded in the undulating countryside, amongst well-kept meadows and forests. Dotted around the lakes you find idyllic villages and hamlets that offer accommodation and other tourist services. In northwestern Styria you find the states largest lake, the Grundlsee. Around the lake you find several pebble beaches and a section reserved for nudist bathers. At the far end of the lake there are good hiking trails into the mountains. The Grundlsee is set amidst a stunning alpine landscape, just a 30 minute drive from the World Heritage site Hallstatt. 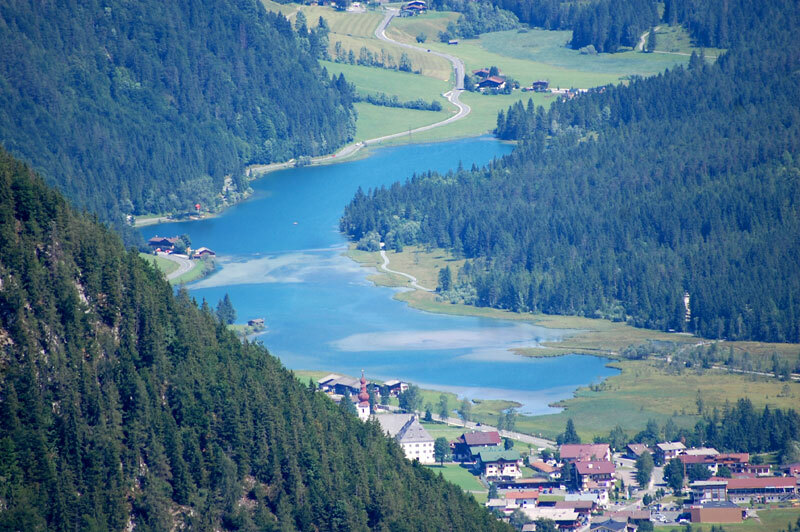 Little Pillersee in Tyrol, not far from the biathlon arena in Hochfilzen, is a small “undiscovered” gem. In the flat lane around the lake there is a walking and cycling path that is well suited for children or wheelchairs. There are several lawns by the water for swimming, and you can hire pedal boats and stand up paddle boards.